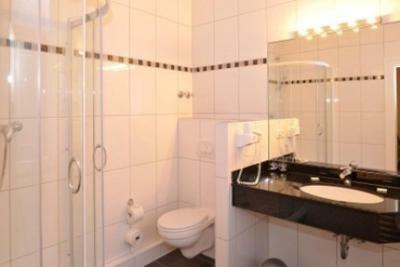 Perfect location, parking space, nearby public transport stations. Everywhere it was very nice and clean and breakfast was very good. The staff was very friendly and helpfull. 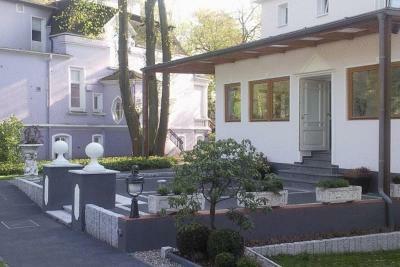 Located close to S-Bahn (2 mins. walk) so it was very ease to leave the car and go sightseeing by public transportation. Convenient to s-bahn. For the rates in Hamburg during the SMM this was a good value. Breakfast staff was very nice. A group of small buildings in a micro-campus arrangement, great. Very conveniently located for public transport access. The local seafood salad in the breakfast offering is awesome. The location was very good, being just 100 or so meters from the train station. Although the room was small, it was more than adequate for a sole individual. There was quite a bit of choice in the breakfast selection and the food was fresh and tasty. I thought the hotel price was rather competitive and appropriate given what you got for the money. 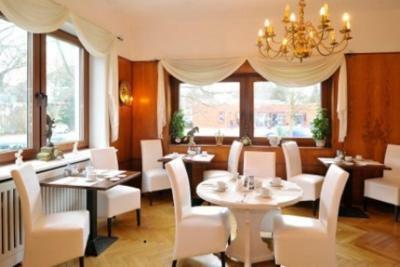 Hotel Schmidt is in a lovely residential neighborhood next to the Othmarshen train station. The room was basic but clean and comfortable. The staff members were friendly and helpful. Breakfast included eggs and meatballs in addition to bread, cereal, fruit, and tomatoes, coffee and tea. The train and busses are nearby and there are several streets with useful shops--grocery, travel agent, cafes, and a pharmacy. 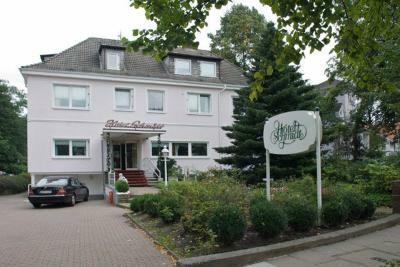 This is a lovely hotel in the Othmarschen area and well connected to major stations via the S-bahn. Despite being next to the station, my room was very quiet and cosy, with next to no street noise. 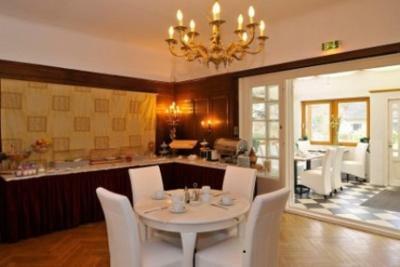 The breakfast was great and the staff were extremely hospitable. My room had the window looking at the garden, the hotel is very close to the S-Bahn station. Hotel Schmidt This rating is a reflection of how the property compares to the industry standard when it comes to price, facilities and services available. It's based on a self-evaluation by the property. Use this rating to help choose your stay! 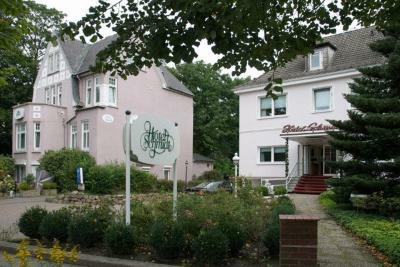 This hotel is located in green countryside in the Othmarschen district to the west of Hamburg, half a mile from highway A7. It offers a restaurant, pub and free parking. 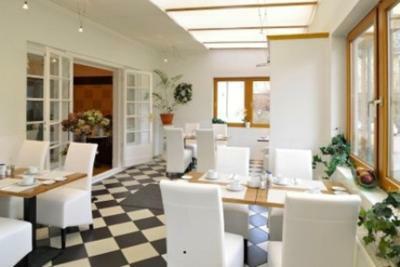 The spacious and individually furnished rooms of Hotel Schmidt are situated in the main building and neighboring villas. 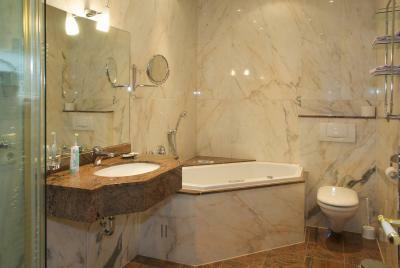 All rooms have TV, Wi-Fi and a private bathroom. There are horseback riding stables and golf courses near the Hotel Schmidt, and the grounds has a sunbathing area. 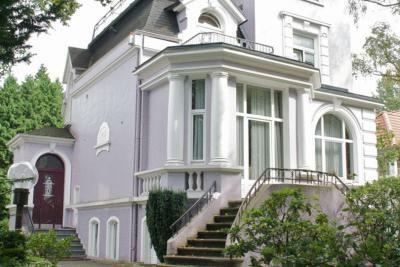 The Schmidt is one mile from the Elbe River and 2 miles from Hamburg Zoo. 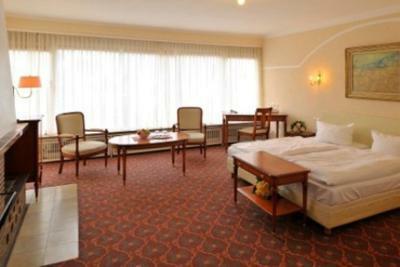 Hotel Schmidt is 350 feet from the Othmarschen S-Bahn (light rail) station, providing fast access to downtown Hamburg. Othmarschen is a great choice for travelers interested in museums, convenient public transportation and fish markets. 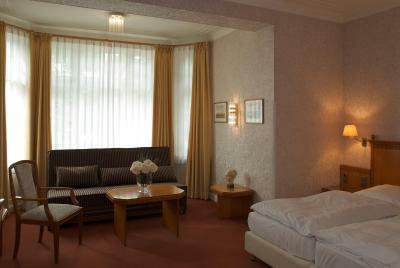 When would you like to stay at Hotel Schmidt? 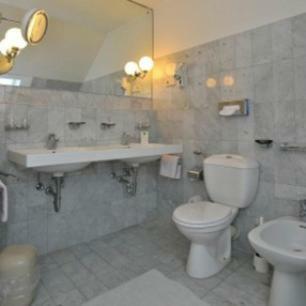 Offers free Wi-Fi, a TV and a private bathroom with a hairdryer. Good morning? Did you sleep well? What kind of a question is that?! 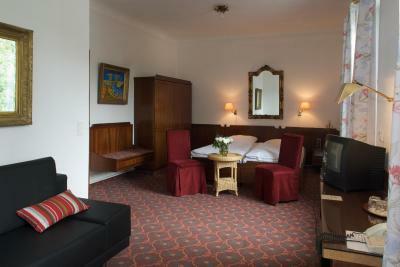 After all you are staying at Hotel Schmidt located in the green heart of Hamburg. Are you looking forward to the day? No wonder! Our breakfast is the perfect way to start the day. Hotel surroundings – This neighborhood is a great choice for travelers interested in museums, convenient public transportation and fish markets – Check location Great location - show map Guests loved walking around the neighborhood! House Rules Hotel Schmidt takes special requests – add in the next step! Hotel Schmidt accepts these cards and reserves the right to temporarily hold an amount prior to arrival. Entry door continually slams so from 6am the bedroom next to it is unusable. Breakfast table had black dirt underneath it which went on my trousers. Man in reception quite abrupt and unfriendly. There isn't a huge variety of restaurants around but quite a few cafes in the market street around the corner. 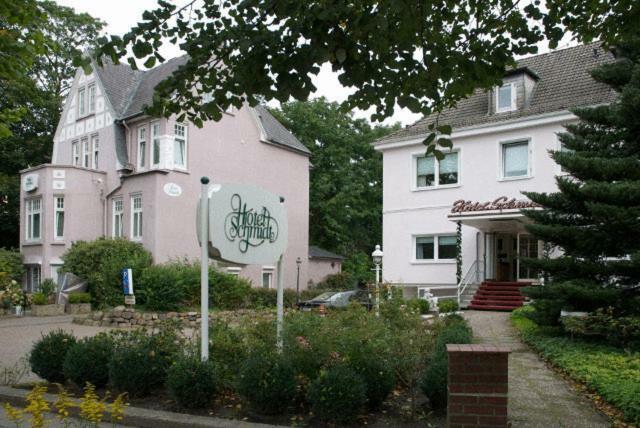 The place is not close to the city centre and major attractions, and there isn't much going on in Othmarschen, but this a lovely hotel with great people nevertheless. Enough space in the room. in Total four houses, with not enough signs directing to the reception area. To pay upfront was another thing. Not huge, but not very guest friendly. I stayed for 5 nights and after the second I mentioned the non functioning light in the bathroom. It was not fixed until I left. There were other lights, but it was rather dark in the shower. The bath room dust bin was never cleaned during my stay, even though it was almost overflowing on Thursday. And last but not least: the bed was way too soft. A slightly odd thing is the access to on of the houses (where my room was), through a beer garden of a little pub at the corner. Location, S-Bahn station is just across the street, very frequent trains to downtown Hamburg, even in the evening, just takes 15 min. Free Parking Easy access to a double bed room for single use. And a very good breakfast for the budget.